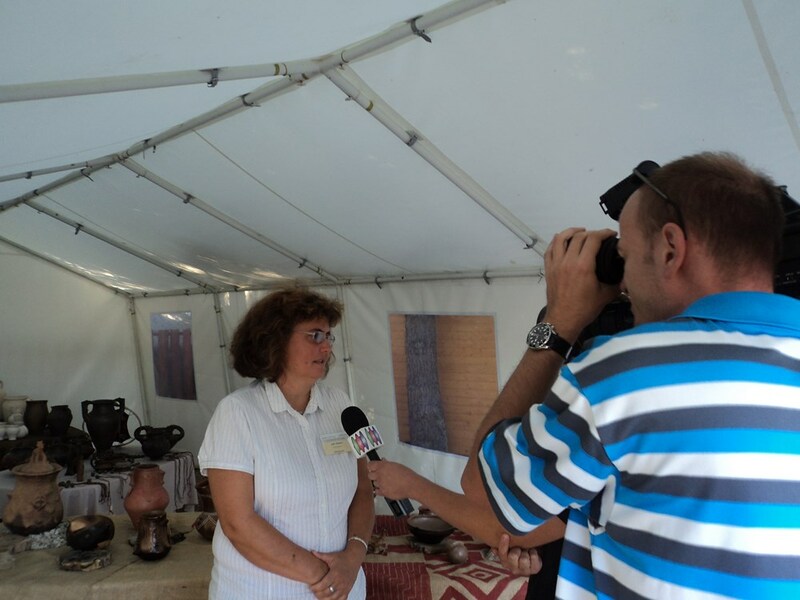 In early September 2013, EXARC, in collaboration with Csiki Pihenökert, hosted a meeting in Hungary with the theme Live Interpretation in Open-air Venues. This continued the discussions held one year earlier in Foteviken, Sweden which focused on museum theatre and other forms of live interpretation. Archery is extremely popular in Hungary: even with a glass fibre bow, one can ‘feel Hungarian’. The style of shooting of these nomadic-like bows, the draw, is very different from the way longbows are drawn and is different again from the Mediterranean draw. The first day was themed Behind the Scenes of Our Live Interpretation. After the opening by the Mayor of Budaörs, Tamás Wittinghoff and representatives of EXARC and Csiki Pihenökert , we sat down for seven papers by Hungarian colleagues, all presented in English. 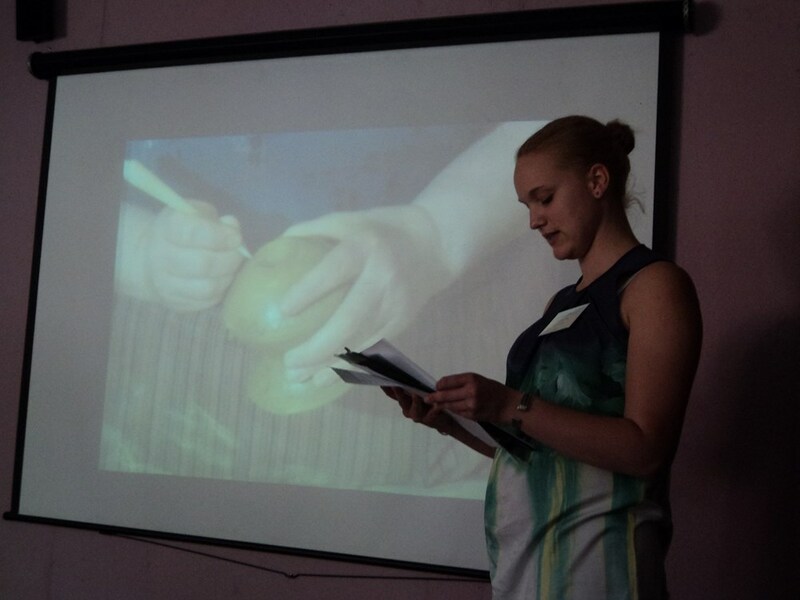 Magdolna Vicze, one of the first generation of EXARC members, and a familiar face to many, presented on the first archaeological open-air museum in Hungary, at Százhalombatta. The museum/park, which we visited on day three, focuses on the Bronze Age and Iron Age of the area and includes a reconstructed Iron Age barrow and two groups of (re)constructed dwellings, one for each era. The museum and park work with local historians in order to provide an identity for the local population. Activities are either science based and/or visitor oriented. Several well formulated choices are made in the park as regards to the furnishing of the houses and live interpretation. It was noted that tourist numbers and the number of retired locals who keep re-visiting the park, is rising. The second presentation, by István Kovács, was about everyday life in the medieval royal palace of Visegrád. The city of Visegrád is rich in archaeology and history, having been part of the Limes Roman border system and especially for it being the royal residence in the 14th - 16th century. A full reconstruction of the royal palace based on its 15th century layout is in progress. Since 1996, the International Palace Games have been organised by the Order of St George. Their interest goes beyond providing just a good event; they also undertake research into 15th century Visegrád. Other activities include the Musica Rediviva Ensemble (research and presentation of costumes, instruments and music), exploring medieval manufacturing techniques (crafts) and a working medieval kitchen. 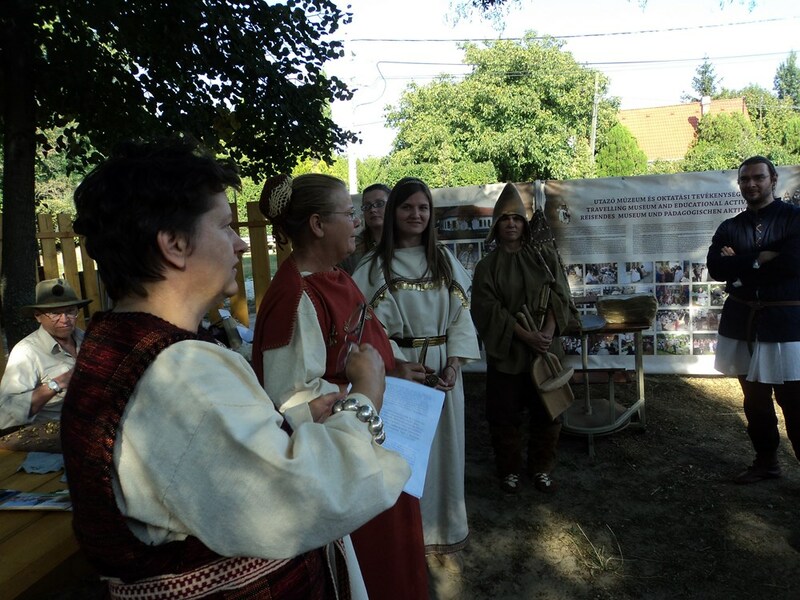 Katalin Kurucz of the Aquincum Museum then gave an overview of the Pannonia Province Project. This is an EU funded project (2010-2017) to upgrade the Roman site and museum, close to Budapest. They have already built a new multimedia exhibition gallery. Recently they made a part (re)construction of the so called ‘Painter’s House’ which shows several rooms as they could have looked in Roman Aquincum. Also included at Aquincum is an artistic mythological playground and a chronoscope where one can oversee the town as it could have looked during the Roman period. Unfortunately this lacks the options which one can see at other ‘time travel’ sites like Ename in Belgium where the modern layout and the ‘old images’ overlap in real time. Along with the hardware, the public and school programs have also undergone changes/updating. A nice option is the “Bring your grandmother” idea and the audio equipment for the visually impaired; visiting Roman ruins can be very hard if you have difficulty walking or seeing. There are plans for a craft garden with hands-on activities. Visitor numbers are growing. In August up to 40% of all visitors were foreign tourists. Ágnes Lőrincz of the Artchaika Association in Budapest, along with her student Éva Szabó, presented on all stages of the reproduction of ancient ceramics. The association has a ceramic education facility where dozens of students are trained. They presented many of their ceramic products in an exhibition at the conference and also hosted an afternoon workshop. The first ‘warriors’ at the conference to present their story were János Weixelbaum and his daughter Laura (Familia Gladiatoria, Vác). Mr Weixelbaum founded the first Roman gladiator group back in 1985. In these 28 years they have come a long way, from the first experiments in making equipment to developing rigid training courses which include ethics of fighting. The fights the group shows at Roman events all across Europe are not choreographed, the gladiators usually train three times a week. To reach the highest of the five levels in training can take years. The presentations are more than nice ‘battle scenes’: not only do the gladiators develop mentally and physically, they include metaphors about fighting, the Roman Gods and Roman culture in their shows. The audience discussed with the Weixelbaum’s the origins of the different types of show fighting, including Roman and Viking . The role of Hollywood as a ‘dream factory’ with more interest in special effects then in historical accuracy was also discussed. 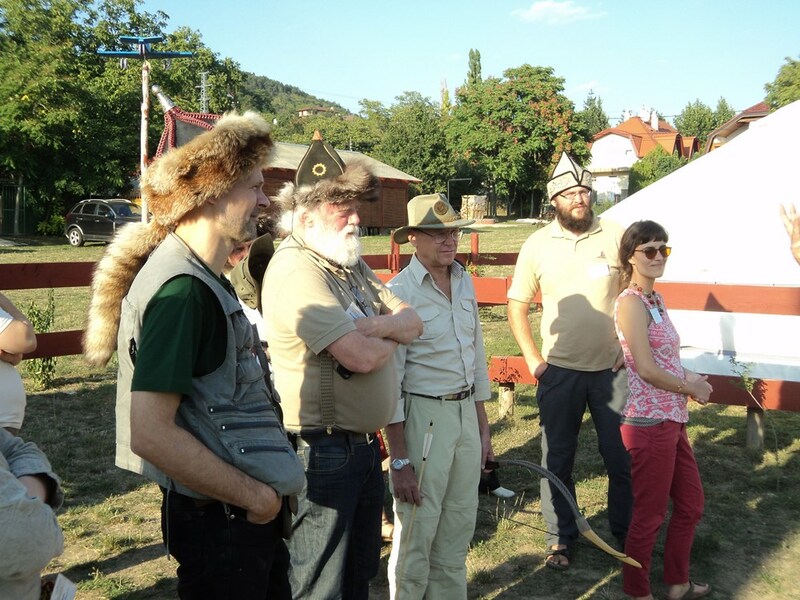 Levente Igaz (University of Szeged) introduced the public to Hungarian archery. The National Hungarian Archery Association (HUNAF) currently has 50 members. Activities include research into the origins of archery in Hungary, (re)construction, where possible, of 11th-15th century bow types and experimental archaeology. 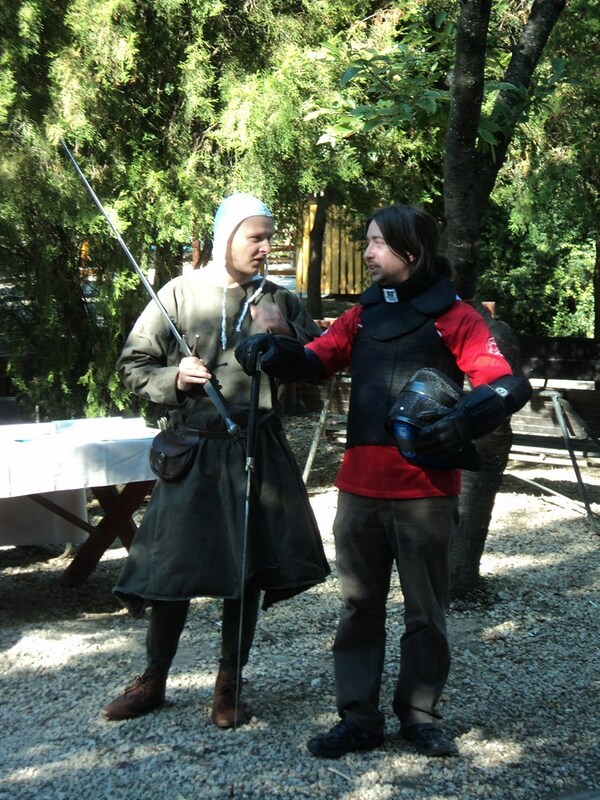 Igaz explained why archery has an almost mythical aura in Hungary. Important research was done before WWII with the first experimentations based on scarce sources. Iconographic sources do not go back further than the 12th century. Written sources of this period or earlier are hard to understand, as far as they even exist, so much depends on archaeology when looking at the ninth and tenth century. Some examples exist from the Caucasus but from how far can you take your inspiration? It is clear that whatever people use nowadays in ‘Traditional Hungarian Archery’ is inspired by whatever we can find, but does not necessarily accurately resemble the tenth century reality. Even so, archery is extremely popular in Hungary: even with a glass fibre bow, one can ‘feel Hungarian’. The style of shooting of these nomadic-like bows, the draw, is very different from the way longbows are drawn and is different again from the Mediterranean draw. Research has come a long way in recent years but still much is unknown and too few people bridge the gap between theory and practical knowledge. 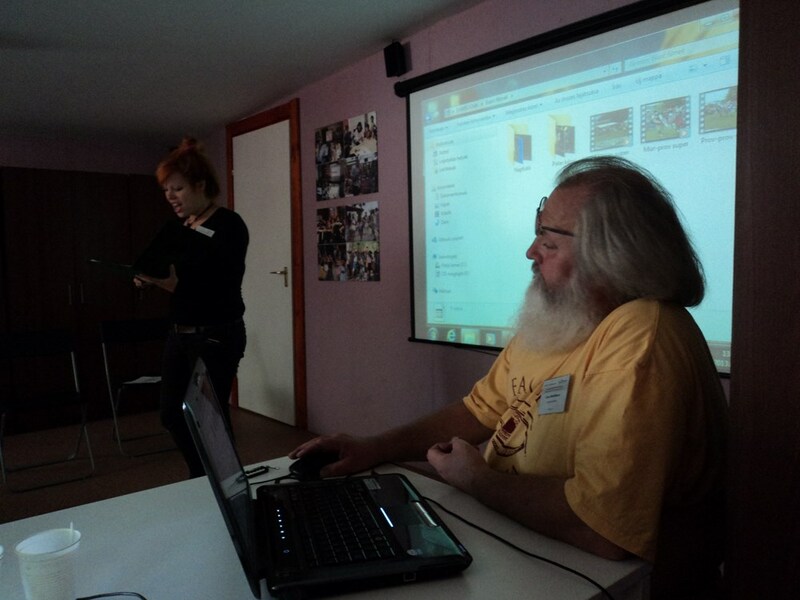 Igaz followed up his presentation with a workshop on Hungarian archery. Martial arts and live interpretation were further discussed by Fábián Gábor, member of SAGA, the Schola Artis Gladii et Armorum. Statements like “people want to see blood in a safe and entertaining environment” were put in perspective. He discussed how, through tradition and interest, via quality control and commitment we got to the representation; the ‘show’ of live interpretation if you like. Discussion with the conference participants focussed once more on the impact of Hollywood. The problem is that as long as the public is happy with what Hollywood offers them, it will be hard to make them interested in something more historically accurate, unless museums and interested groups take a lead. The international stories on interpretation and education were kept for the morning of the second day. Willner and Samida (Germany) described the project they run with G. Koch, where they analyse performances of living history. Samida discussed “Time Travel Performances” in archaeological open-air museums and historic sites. She looked at interactions between scholars, actors and the public. There is a fine line between education and leisure. Performances often are not just presented as a play about the past but pretend to be more than that: the performances often contain a message about authenticity. Politics or otherwise. Koch’s part was about docu-soaps and the media, looking at what has been produced in the UK and Germany since 1970. Re-enactment is more developed in TV than 30, 40 years ago. Following the structure of media formats, ideas are presented in a very simplified way. Prehistory becomes a setting to discuss modern discourses and not to discuss prehistory itself. Living History on TV requires less imagination from the viewers. It is also easily accessible. Willner’s part of the project is an ethnographic observation of theme hiking. An archaeological trail network exists around the Ötzi site in the Alps. How do hikers experience these tours and construct ideas about life in prehistoric times? Willner presented three aspects of knowledge circulation which together lead to different kinds of interpretation of the past. Space, emotion and body all play an important role but do not necessarily link with science that much. Justyna Duda took us further north, to the Polish coast near Gdansk. She presented us with a hidden treasure: the Viking emporium Truso which appeared in a ninth century travel account (Wulfstan’s Voyages). Attempts to locate it date back to the 16th century but it was not until 1982 when an archaeologist was finally successful. At present the idea is to build an archaeological open-air museum close to the original site and to create a local network on preserving local history. Many people in this area do not have roots here from before WWII, therefore the need to help build up a local cultural identity is important. EXARC’s Vice Chair, the director of Fotevikens Museum, Björn Jakobsen has collected a large number of examples from all over Europe on live interpretation and (re)construction; the good, the bad and the ugly. The point he made during his presentation was that we cannot use the same area or buildings in our museums for different things. If one builds a house as an archaeological experiment, it needs to meet completely different requirements than if built for educational purposes, or for longevity . It is important to be honest and see when we are talking science or when we are building a stage for other types of activities. Theme parks for example serve a whole other purpose than archaeological open-air museums. Maintenance is a problem everywhere and does not always sit well with authenticity. Many (re)constructed houses, even if originally built for experimentation, are not finished right: examples of chainsaw marks demonstrated Jakobsen’s point. It is very hard if not impossible to mix different activities within a single area in a museum. It leads to clashing interests, for example how to furnish a house. Shall we place 20 chairs for the school group or should it look like the resident has just left and will come back at any moment? Living history volunteers are good extras in your museum, but just like your staff, they need to be trained well. Jakobsen ended with a plea for quality control: check your museum daily as the visitors see ‘all’, including the bad things. Wahrgren, also from Fotevikens Museum added a short paper about his work on improving the volunteers and their museum training. Romania is the home of the student’s association, ASAIR. Corina Costea explained to us the limits of traditional crafts in experimental archaeology based on ASAIR’s work with building a small archaeological reconstructive centre. They built four Iron Age type dwellings and are developing the centre into an archaeological open-air museum. 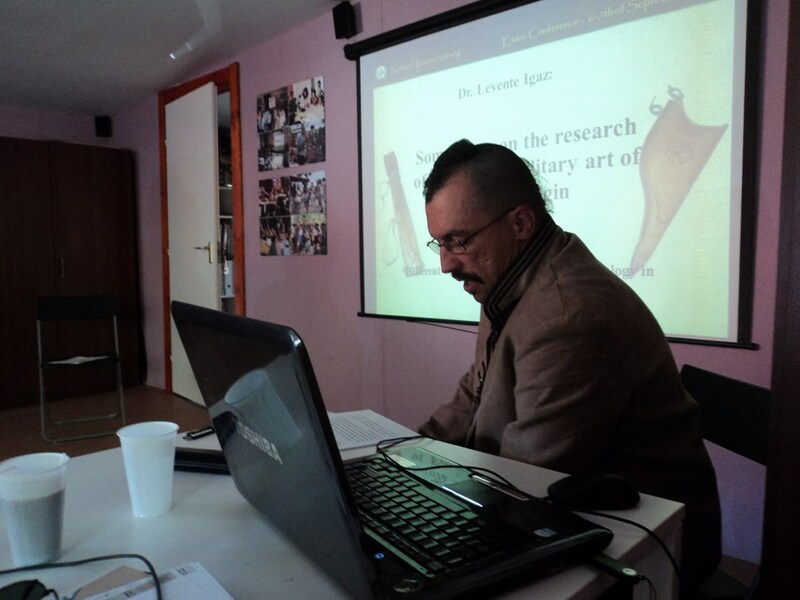 Costea explained where experimental archaeology can and cannot be successful. Dangers emerge when relying too heavily on ethnographic inspiration. The ASAIR project combines archaeology with traditional crafts. The public component includes workshops and an exhibition. They explain that what the visitors see is not an exact replica but rather a subjective interpretation. The conference participants were clear that accuracy should not always be the goal. Why should we always attempt to build perfect worlds? Money often dictates the possibilities; if there is no money for research but there is for public, then you need to change your aims. Martyn Sorge from Berlin introduced the public to the concept of adventure playgrounds. This German concept had more in common with what EXARC members do than first meets the eye. The Archaeological and Adventure Playground Moorwiese is a pedagogically oriented and educator staffed playground for children with historical and environmental emphasis. 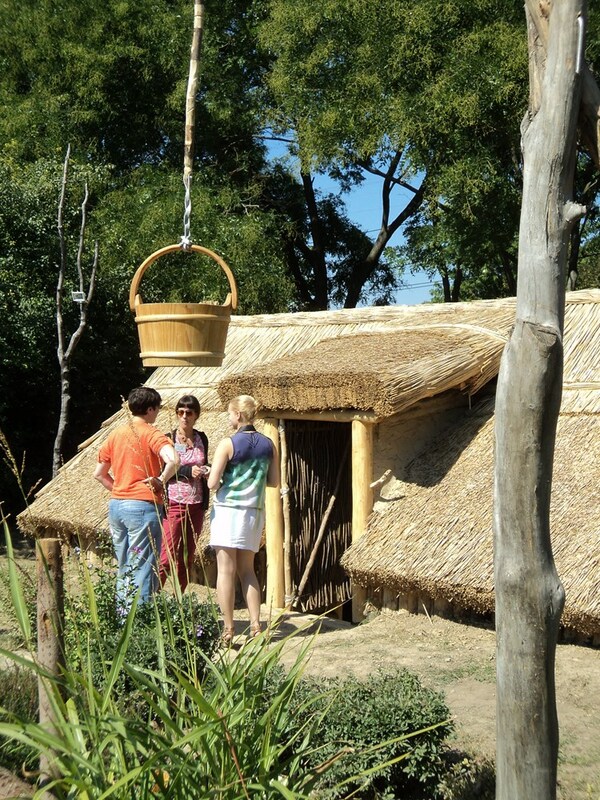 At Moorwiese, children between six and 16 years old can build their huts at construction playgrounds. Activities are offered which include fire, archaeology, the natural environment and history. The site helps the local inhabitants to better link with their ‘heimat’ (cf homeland) as most people nearby have no link to the area. Staff have good connections with Berlin archaeologists and with re-enactment groups. The afternoon was again taken up by Hungarian presentations, beginning with that by Ms. Kaszonka of the Emesepark (EXARC member). From the 1990s interest in the tenth century has grown in Hungary. In the early days the link between live interpretation and traditionalism (a genre which includes folklore, history and identity) did not exist. She explained the importance of being honest about what you do: make for example a clear distinction between an experiment and a performance. 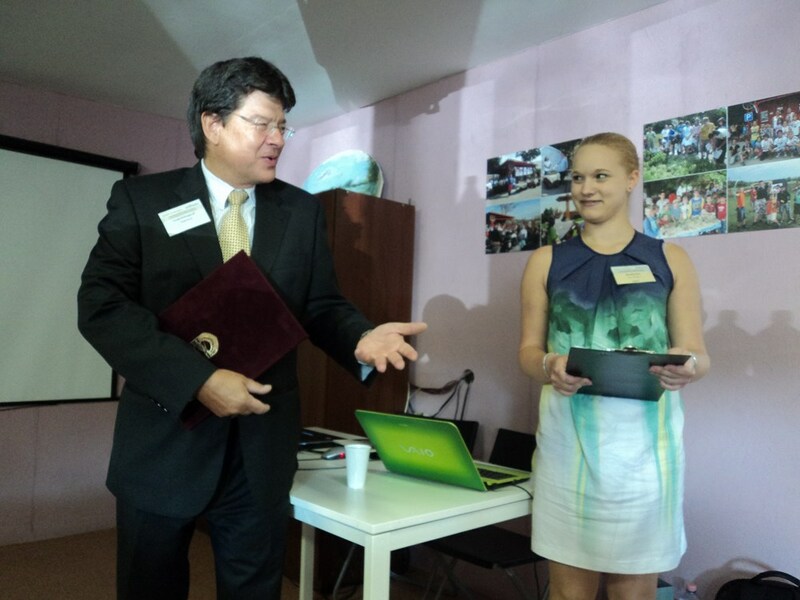 Professional improvement is a keystone in the foundation behind Emesepark, such as involving professionals with volunteers. They are aware of the problem of focusing too little on historic sources and basing too much on traditionalism. Professional credibility can only be established by emphasising the historical / archaeological sources. Balázs Sudár from the Hungarian Archery Association (HUNAF) also referred to the traditionalists and ‘tradition keeping’, a Hungarian expression for reviving or re-inventing traditions. Sudár pointed to the simple fact that “keeping tenth century traditions” is totally impossible as these traditions disappeared long ago. Evoking may be a better description. Hungarian professional archery ended at the beginning of the 16th century, but bows were still used for hunting and hobbies. By the beginning of the 18th century they had been completely replaced by fire arms. However, the bow remained an important symbol. After initial attempts in the 1940s it was not until the 1970s & 1980s, with the help of archaeology, that a revival and (re)construction of the composite bow was undertaken. There is little scientific information, too many popular presentations and not many people who can bridge between these two worlds. Also representing the HUNAF, Péter Bencsik, an experienced bow maker or bowyer explained how he makes Hungarian horn bow reconstructions. He is an archer, not a scientist but of course uses archaeological sources where possible. The only parts of bows identified archaeologically are antler plates which were probably placed at the ends and the handles of bows. They have been identified in 300 graves; the shape and the exact position in the grave can tell us about the possible shape and size of tenth century composite Hungarian recurved bows. Asian examples as well as evidence from the later Ottoman Era are also used where possible. Bencsik’s approach is to use archaeology, ‘authentic’ materials and finally authentic technology. One specific issue is that we don’t know what tools and materials they used. Thankfully, the gap between bow makers and archaeologists is becoming smaller. Bencsik gave a workshop on building bows later in the day. Experimental bronze casting was the theme of Csaba Biró & Gergely Szenthe’s (Hungarian National Museum) presentation: specifically attempts at reconstructing early medieval casting technology. Experimental archaeology demands knowledge, time and money. 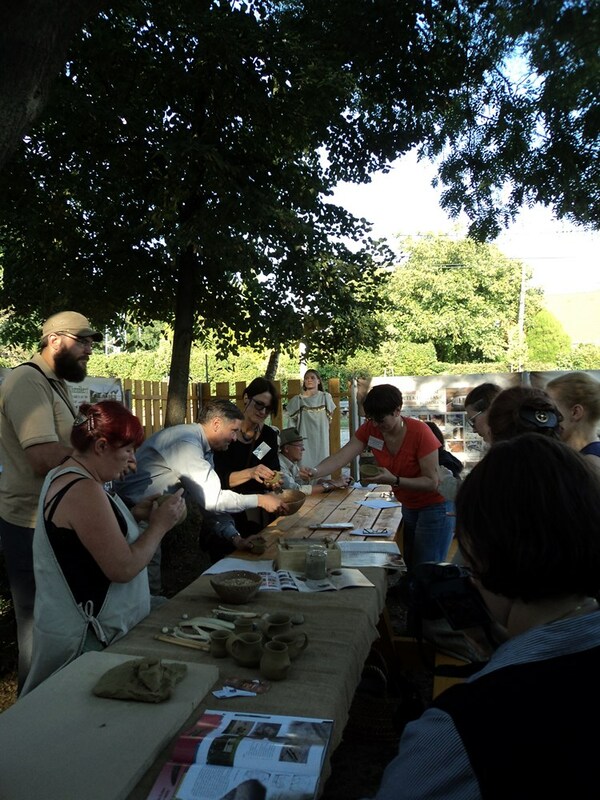 Thanks to the booming living history sector, experimental archaeology is gaining momentum in Hungary. There is good cooperation between archaeologists and craftspeople even though colleagues feel they are very much behind the rest of Europe. When bronze casting (belt buckles and belt straps for example) one issue is there are no archaeologically known workshops. The production sequence is however relatively clear. Textile imprints have been noted on the backs of metal belt buckles/straps. What does this say about the mould? Are we seeing the results of serial production with one mould or is a new mould used for each new cast? The well prepared paper was followed by a spectacular casting demonstration with in-depth commentary. Iron smelting is another familiar theme in Hungary. Ádám Thiele (Budapest University of Technology and Economics) organises summer camps on this subject, attempting to (re)construct the technology of tenth century iron smelting. His wife gladly gave the presentation. There are 300 excavated iron smelting workshops across Hungary which can be divided into two types: a freestanding furnace or one embedded in an earthen wall. Experiments were conducted with the latter model because the furnace can be used several times (just replacing the front plate) thus leading to suitably comparable results. Thiele’s wife presented the basic steps of iron production starting with making the charcoal themselves in a 70-80 hours process. The crew would then collect the bog ore (in contrast to stone ore which is often used in experimentation). The furnace was subsequently built into a slope and then fired for 10-12 hrs. After the first two hours the slag tapping started, with most of the iron remaining in the furnace. Finally, the iron bloom was removed from the furnace and compressed. The final presentation of the conference was by Janós Gömöri. He presented the Scarbantia Régészeti Park, an archaeological park at Szopron. It includes both Iron Age and Roman remains and reconstructions including fortifications, tombs, tumuli and house (re)constructions. There are annual games in the amphitheatre and other activities attracting many people to the region. It was a great pleasure to be at this conference, with many new stories/ideas from across Europe. It was also remarkable to see so many Hungarians willing to present in English. We thank the staff of Csiki Pihenökert for being great hosts.